Welcome to the latest summertime episode of the Big Enchilada Podcast. We're going to have a rocking time with selections from Barrence Whitfield, The Sonics, Thee Oh Sees, T-Model Ford, G.G. 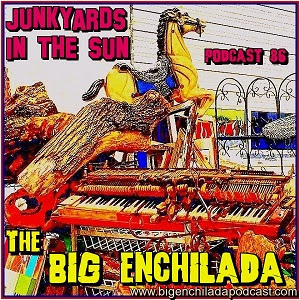 Allin, The Angry Samoans, The Grannies, Frontier Circus, Crankshaft & The Geargrinders, The Routes, Butch Hancock (with the song that inspired the name of this episode) and many more. As Butch says, "For every graveyard in the moonlight, there's a junkyard in the sun!"